Fresno, Calif. — Mayor Lee Brand and Public Utilities Director Michael Carbajal gathered with local, and state leaders to mark completion of the Southeast Surface Water Treatment Facility and the major pipeline projects of the city’s Recharge Fresno program, which collectively make up the city’s largest-ever infrastructure program and enable greater water sustainability through increased use of surface water and reduced groundwater pumping. The treatment facility is the cornerstone project of the Recharge Fresno, the city’s program to improve the pipelines and water system facilities that will capture, treat and deliver water to Fresno homes and businesses, including surface water from the Sierra Nevada Mountains. 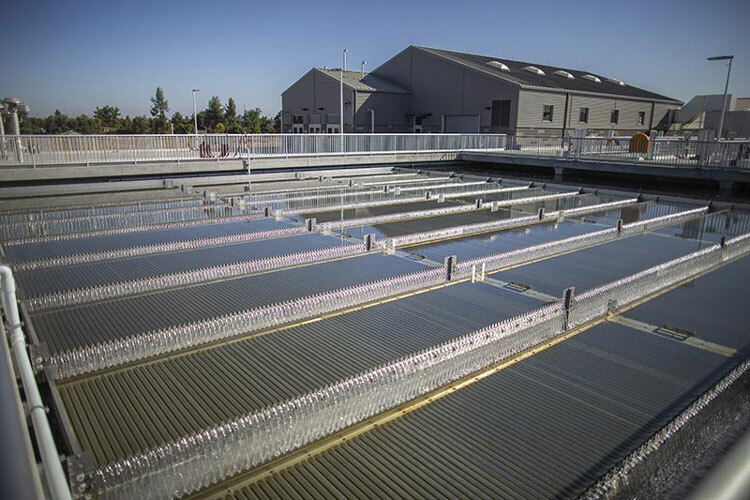 The facility currently produces 54 million gallons per day of drinking water for delivery to Fresno homes and businesses, and ultimately will produce 80 million gallons per day, meeting approximately half of the city’s future water demands. The major projects in the Recharge Fresno Program were collectively under construction for approximately two and a half years and involved more than 180 consulting firms, engineering companies and contractors. Carbajal also recognized the California State Water Resources Control Board and the U.S. Environmental Protection Agency for their efforts to secure $340 million in low-interest State Revolving Fund loans to help fund the program, saving ratepayers approximately $250 million in financing cost. The Recharge Fresno Program is managed by the city’s Department of Public Utilities. For more information, visit www.RechargeFresno.com.